This stock is well supported at $0.051. Buyer seem to be coming back today. Exit when the profit is good. 1)According to my Trading System, US market may pull back and European market may resume its selling again in the next few days. From tomorrow onward, I am looking to manually close my position. After that, I will wait patiently for opportunity to enter the market again. 2) For those who had bought in Otto Marine. It had formed a bullish Pennant and may break out tomorrow. 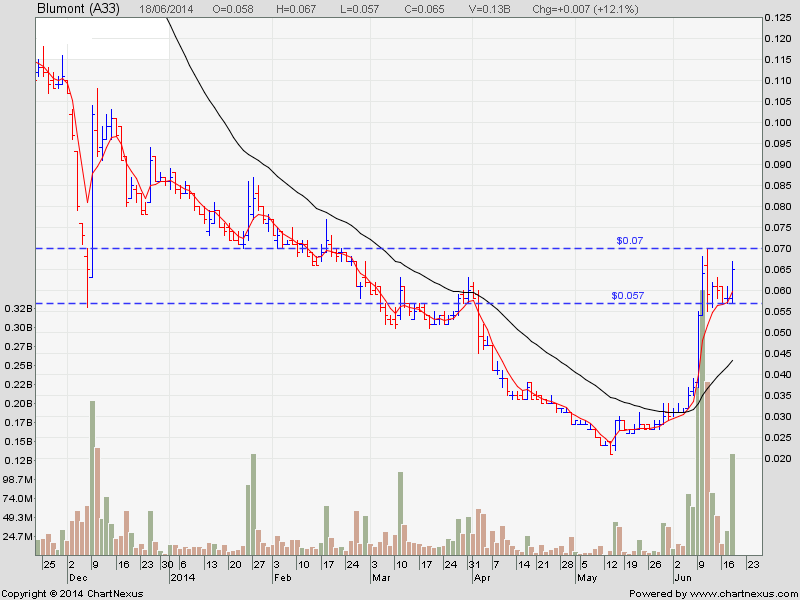 Just place the stop loss at $0.073 and hope for the best. Blumont is a mining stock. It is starting to reverse its down trend after 8 months of sell down. Huge volume seen in the last 2 weeks. A good stock to trade or invest in. 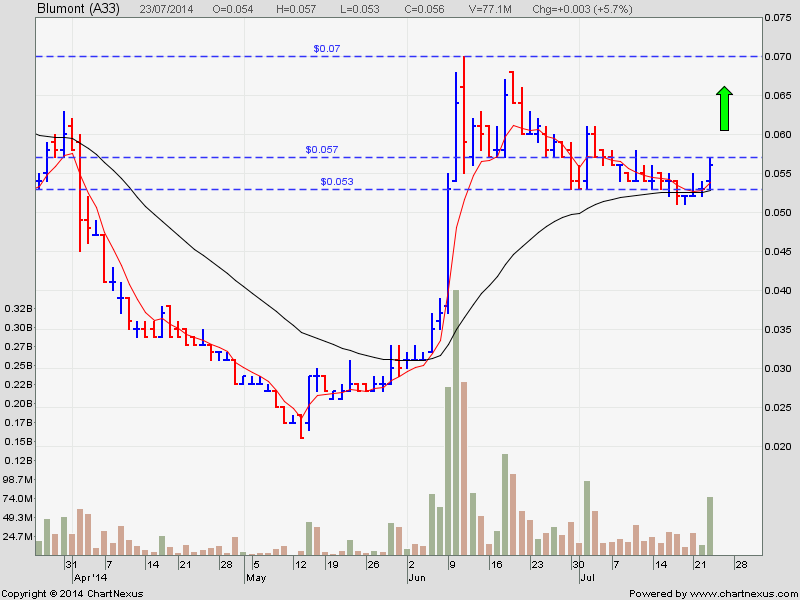 One can also do intra trade on it, since this is a penny stock.